Cash may be popular with consumers, but it often presents challenges and extra costs for retailers. Manually handling, counting, reconciling and depositing cash every day, or multiple times a day, can be expensive. 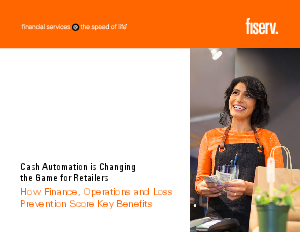 Smart safe technology and automated cash handling can help and benefit all areas of your business – from Finance to Operations to Loss Prevention – but, more importantly, your customers.